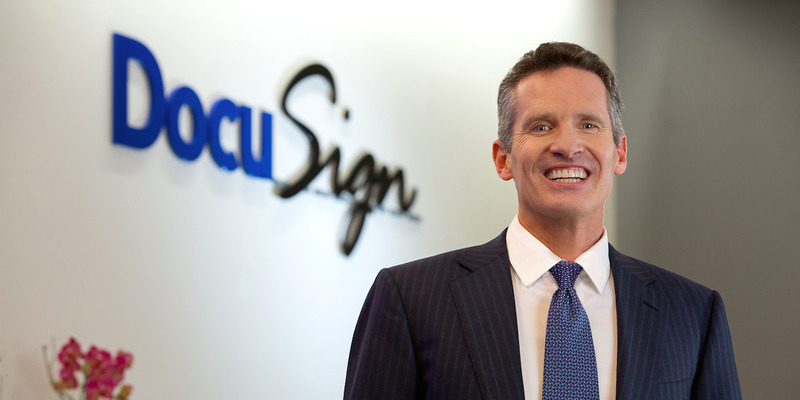 DocuSign has confidentially filed to go public, according to Tech Crunch. The company plans to hit the public markets in the next six months. It’s been a long-time-coming for the 15-year-old digital signature company, though its timing aligns with a deluge of other public offerings in the enterprise tech space. DocuSign has confidentially filed for an IPO, according to Tech Crunch’s Katie Roof. The company, which is known for taking electronic signatures mainstream, plans to go public in the next six months and will publicly share its prospectus in the weeks before the offering, according to the report. It’s been a long time coming for the 15-year-old San Francisco-based company, which was last valued at $US3.08 billion in a funding round from 2015, according to PitchBook. The company has raised a total of $US558 million in venture funding since its first round in 2004. DocuSign’s filing comes amid an onslaught of IPO announcements among enterprise tech startups. The nine-year-old file sharing company Dropbox will likely hit the public markets this week with an offering set to value the company around $US7.5 billion. The cloud security company Zscaler made its public debut on Friday. It’s since shot up more than 87% and is valued at $US3.5 billion. Also on the Friday, the smaller $US738 million ‘subscription economy’ company Zuora filed to go public at some point in the future. For an in-depth look at the larger tech IPO picture in 2018, read BI Prime’s story on the the year ahead in tech IPOs.